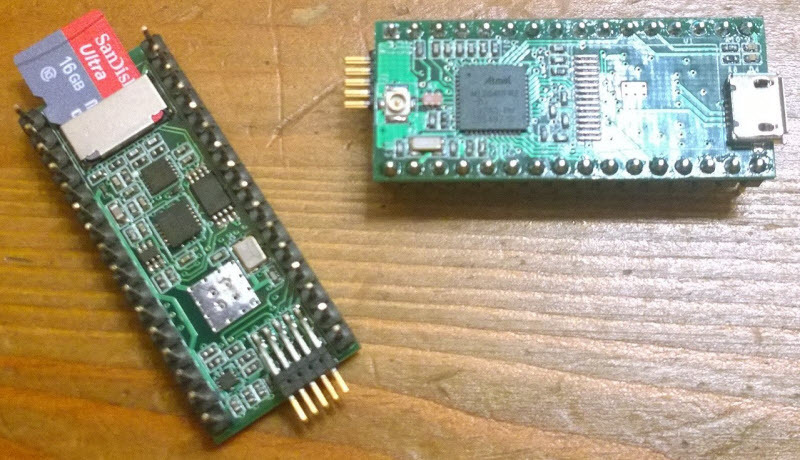 Modulowo’s new boards want to make IoT development a breeze. Development tools are becoming increasingly popular and are often used for prototyping, designing new devices, educating and programming. Well, one Poland-based startup has decided to take it one step further by devising a solution to streamline the process for Makers and engineers alike. Modulowo has announced the availability of their new Explore boards for the Intel Edison and Atmel Xplained platforms. The Explore is equipped with a connector for Intel Edison platform, two Modulowo duoNECT connectors for expansion modules, GPIO, SPI, UART and I2C interfaces connectors, two microUSB (USB OTG and USB/UART converter), 12-bit ADC (optional 16-bit) for measuring analog signals, logic level translators (tolerates +3,3V/+5V signals), a battery charger (only for Intel Edison) and a connector for additional power supply to the add-ons. One of Modulowo’s most notable features is that its modules can be mounted via pin connectors or directly on the board by castellated holes. These add-ons include sensors, tactile switches, motor controllers, LED drivers, GPS, wireless communication and Wi-Fi connectivity with the ATWINC1500. Intrigued? You can head over to Modulowo’s page to explore the wide range of development boards. This entry was posted in IoT and tagged Atmel Xplained, dev board, hardware, IoT Development Board, microcontrollers, Modulowo on December 16, 2015 by The Atmel Team. Trust us, Adafruit’s new board is un-BLE-vable! Remember when we brought you a first-ever look at Adafruit’s new lineup of Feather boards back at World Maker Faire? Well, as Ladyada herself promised, the new dev boards are thin, light and ready to let your imagination fly! After having already revealed the first two members of the family — the Feather 32U4 Basic Proto and the Feather 32U4 Adalogger — the team shows no sign of slowing down. Next up: the Feather 32u4 Bluefruit. The Feather 32U4 Bluefruit is said to be their take on an ‘all-in-one’ Arduino-compatible and Bluetooth Low Energy unit with native USB support and battery charging. Like its other siblings, the Feather 32u4 is built around the mighty ATmega32U4 clocked at 8 MHz and at 3.3V logic. This chip boasts 32K of Flash and 2K of RAM, along with built-in USB so not only does it already integrate a USB-to-Serial program and debug capabilities, it can also act like a mouse, keyboard and MIDI device. As Adafruit notes, they’ve gone ahed and added a connector for a 3.7V LiPo and a 100mA battery charger. However, the Feather 32U4 will run just fine via microUSB. Measuring only 2.0″ x 0.9″ x 0.28” without headers soldered and weighing 5.7 grams, the Feather can be implemented in a wide range of projects. 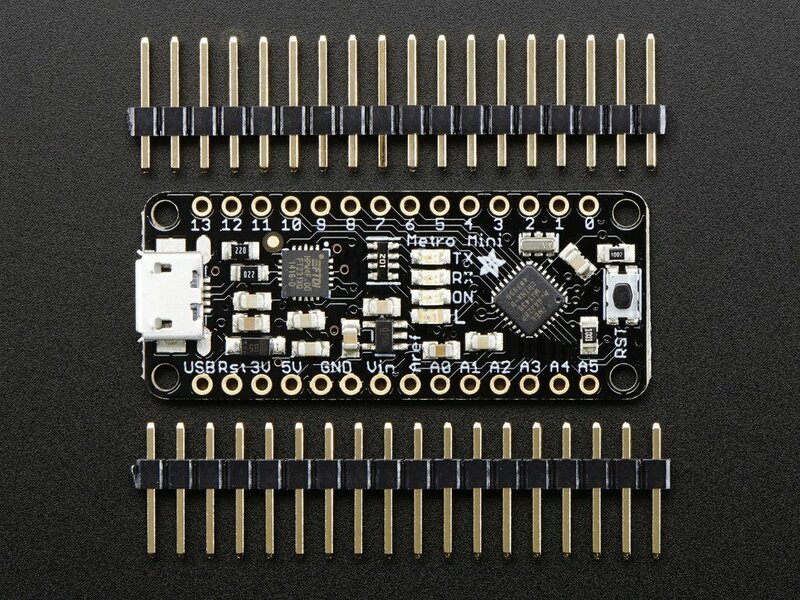 The extremely lightweight and compact board has plenty of pins (20 GPIO), with eight PWM and 10 analog inputs, four mounting holes, a power/enable pin and a reset button. What’s more, the board makes use of the leftover space for a Bluefruit BTLE module as well as two status indicator LEDs. With Adafruit’s Bluefruit mobile app, you can also quickly prototype your next IoT project using your smartphone or tablet as a controller. This data can be read over BLE and piped into the ATmega32U4. Among the use cases listed by Adafruit include an HID keyboard, a heart rate monitor and a UriBeacon, to name just a few. The chip comes fully assembled and tested with a USB bootloader that enables you to seamlessly program it with the Arduino IDE. Intrigued? Fly on over to the Adafruit Feather 32U4 Bluefruit page here. Those wishing to unleash the powers of this impressive board will only have to shell out $30. Not too shabby! This entry was posted in Arduino-Compatible and tagged Adafruit, Adafruit Bluefruit, Adafruit Feather 32U4 Bluefruit LE, ATmega32U4, BLE, MCU, microcontrollers on November 20, 2015 by The Atmel Team. We couldn’t have found a more appropriate, well-suited place to host our final internal three-day technical training of 2015 than Shenzhen, China. The city is constantly innovating, with IoT startups popping up on seemingly each street corner, throughout every tech shop, factory and Makerspace. This is a good context to present product updates, show off design tricks and run workshops from early morning to late night. We also network with old friends and make new ones, which further strengthens the teamwork, extends our knowledge base and builds confidence to help our customers bring their ideas to life. The buzz of the week was the highly-anticipated, full-day workshop on our uber mini Bluetooth Low Energy chipset (the BTLC1000) with overviews of the supported protocol stacks, silicon and software architecture, introduction from product marketing, as well as a hands-on session using Atmel’s standard Xplained development boards, the recently-launched Atmel Studio 7 and Atmel START. At Atmel, we spread our love equally between wireless and low power. The world’s lowest power 32-bit MCU, the SAM L21, even saw the birth of a new sibling: the SAM L22. This particular board is feature-compatible with the SAM L21, but comes with an LCD controller and some nifty power-save features. When it comes to IoT applications, performance plays an integral role so we spent time on the new low-power modes and security capabilities of the SAMA5D2. FAEs in a hurry could also complete the entire workshop and connect the SAMA5D2 to a cloud with the WILC1000 Wi-Fi module. To top off the event, we saw the debut of more wireless technologies with a complete 6LoWPAN stack emphasising security and authentication with Atmel’s wide range of CryptoAuthentication engines. Still wondering if IoT is a big thing at Atmel? Well, duh! Between low-power MCUs, all major wireless connectivity protocols, security layers and a cloud ecosystem in place, we’ve got each of the necessary pillars covered. Big thanks to Atmel’s training team, distributors, and of course, FAEs for making this event such a great success! Until next time! This entry was posted in Engineering Perspectives, Events and tagged Atmel START, Atmel Studio 7, BTLC1000, FAE Training, Field Applications Engineer, IoT, MCUs, microcontrollers, SAM L21, SAM L22, Shenzhen on November 17, 2015 by jouthus. The Feather 32U4 Adalogger is Adafruit’s take on an all-in-one datalogger. Remember when we brought you a first-ever look at Adafruit’s new lineup of Feather boards back at World Maker Faire? Well, as Ladyada herself promised, the new dev boards are thin, light and ready to let your imagination fly! Following the recent debut of the Feather 32U4 Basic Proto, the team has unveiled the latest addition to its family: the Feather 32U4 Adalogger. The Adalogger is Adafruit’s take on an all-in-one datalogger (or data-reader) with USB, battery charging and a microSD card holder. As it name would suggest, the board is based on an ATmega32U4 clocked at 8MHz and at 3.3V logic, with 32K of Flash and 2K of RAM. And since it features native USB support, not only does it boast built-in USB-to-Serial programming and debugging capabilities, it can also act like a mouse, keyboard and MIDI device. As Adafruit notes, they’ve gone ahed and added a connector for a 3.7V LiPo along with an integrated 100mA battery charger. However, the Adalogger can run just fine via microUSB. Measuring only 2.0″ x 0.9″ x 0.28” without headers soldered, the Feather weighs roughly five grams. The board has plenty of pins (20 GPIO), with eight PWM and 10 analog inputs, four mounting holes, a power/enable pin and a reset button. Capitalizing on the little space that was left over, the Adalogger packs microSD slot and a green LED. The 32U4 Adalogger comes fully assembled and tested, with a USB bootloader that lets you quickly use it with the Arduino IDE. Sound like the $21 board for you? Head over to its official page. Meanwhile, stay tuned as Adafruit continues to reveal the newest members of the Feather family here. This entry was posted in Maker Movement and tagged Adafruit, Adafruit Feather, ATmega32U4, Datalogger, Feather 32U4 Adalogger, microcontrollers on November 16, 2015 by The Atmel Team. 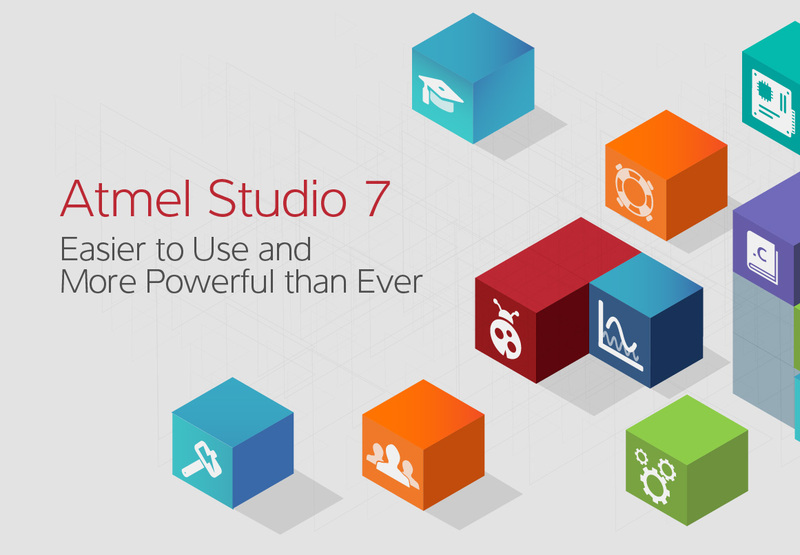 Atmel Studio 7 is now live! Atmel Studio 7 accelerates MCU designs for both developers and Makers alike, bridging the gap between the MakerSpace and MarketPlace. For those who may have attended the recent World Maker Faire in New York, this announcement should come as no surprise. However, if you were unable to get to the New York Hall of Science to swing by the Atmel booth or sit in on one of our panel discussions over the weekend, we’ve got some great news. The highly anticipated Atmel Studio 7 is now live! Atmel Studio is a comprehensive, free integrated development environment (IDE) for microcontroller design using both Atmel | SMART ARM-based and AVR MCUs. What’s more, we are also excited to be launching Atmel START — a new, extremely intuitive graphical platform for creating and configuring embedded applications that allow developers to build custom software platforms. Due to increased complexity and more demanding requirements, embedded developers are turning to IDEs to deliver more intelligence, performance and ease-of-use. Based on the latest Microsoft Visual Studio Shell, Atmel Studio 7 dramatically reduces overall design time by delivering significant performance enhancements for developing and debugging with a simple user interface, improved responsiveness for consumer, industrial and Maker markets, and much more. Plus, the brand-spankin’ new IDE provides real-time application data and power visualization to better optimize application performance and power utilization. Given the rise of the Internet of Things market and the projected billions of devices to follow, high quality, well integrated embedded software is key to enable designers to devise robust, smart solutions based on today’s connectivity and security standards. Cognizant of this, we are pleased to launch Atmel START which is a web-based tool that helps developers easily integrate basic software building blocks and focus on their own applications rather than having to deal with the headache of configuration and integration. Atmel START gives software developers the ability to graphically select software components and configure them for Atmel’s large family of evaluation boards or for their own custom hardware. Developers can build software platforms consisting of low-level drivers, advanced middleware, Real Time Operating Systems (RTOS), high-level communication stacks and more, as well as download the configured software package into their own IDE and make their application. Atmel START supports graphical configuring of pin-muxes, along with clock trees, and the configured software package can be downloaded for a variety of supported development environments, such as Atmel Studio 7, IAR Embedded Workbench and Keil µVision. In addition to all that, the tool is entirely web-based so no installation is required before you get started — and the downloaded code will always be up-to-date. Interested? Atmel Studio 7 is free of charge and is integrated with the Atmel Software Framework (ASF) — a large library of free source code with 1,600 project examples. Those wishing to get started with the IDE can head over to its official page here, as well as explore Atmel START in more depth by downloading the latest white paper on the platform. This entry was posted in Application Highlights, Design Trends, Maker Movement, Product News and tagged Arduino, ARM Microcontrollers, Atmel IDE, Atmel START, Atmel Studio, Atmel Studio 7, Atmel Studio IDE, AVR microcontrollers, developers, IDE, integrated development environment, Makers, MCU Development, microcontrollers, tag1 on September 28, 2015 by The Atmel Team. 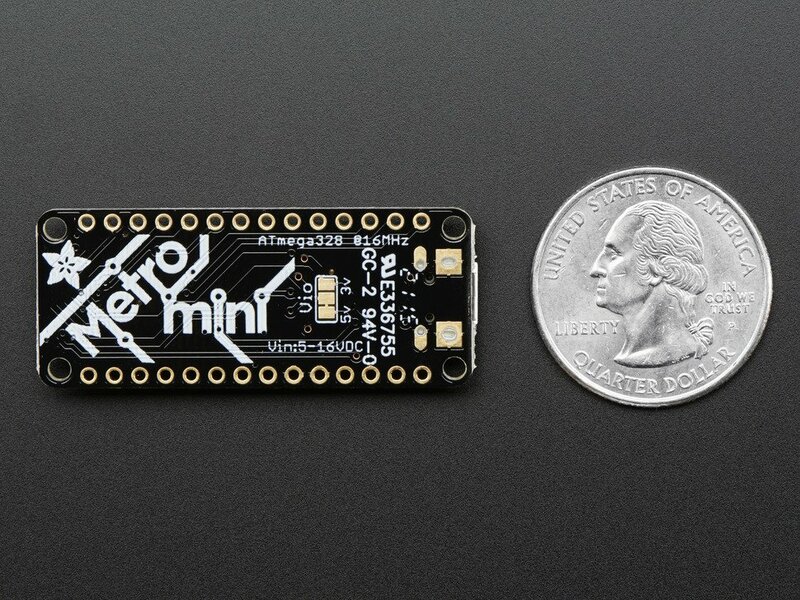 While the idea of having an entire MCU platform in a DIP format isn’t all that new, Alex Gornostayev just wasn’t satisfied with some of those on the market today, like the Teensy and Arduino Nano. And so, the Maker decided to create his own Arduino-compatible board that crams many useful interfaces all into one easy-to-use DIP32 package. 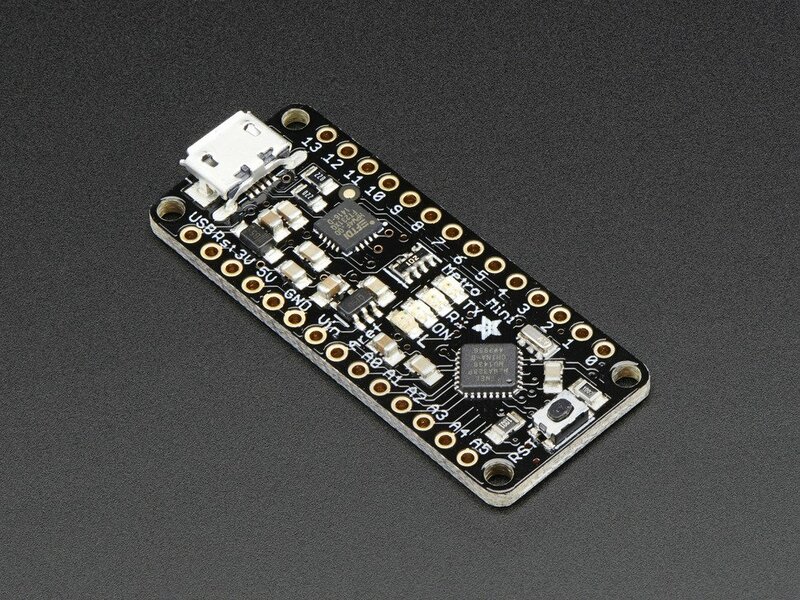 The aptly named DIPDuino goes a step further than most of today’s breakout boards. Based an ATmega1284RFR2 along with a 2.4GHz ZigBee transceiver, the unit is equipped with a 128×32-pixel OLED display, a microSD card reader, a serial FTDI port, 1MB of SRAM, a full JTAG debugger port, USB and pin power supply, LEDs, and a stabilized 3V and 3.6V power output. 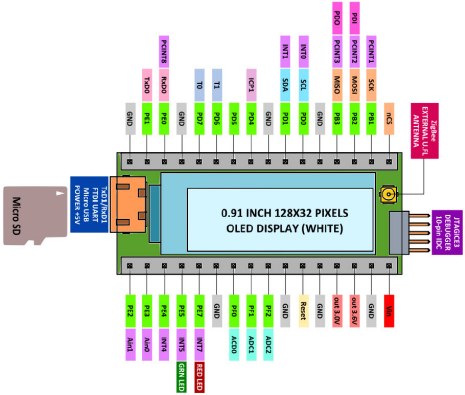 Looking ahead, Gornostayev is planning on using the board for a number of DIY projects, ranging from an OLED watch to a weather station and a home automation system. Aside from that, one of his friends even wants to build a DIPDuino-based RepRap controller. The possibilities are endless! However, first he would like to improve its software so that the firmware can be programmed and updated from an SD card. Intrigued? Read more about the project on its Hackaday.io page here. This entry was posted in Arduino-Compatible, Maker Movement and tagged Arduino-Compatible, ATmega1284RFR2, DIP, DIP MCU, DIP32, Makers, microcontrollers, OLED, ZigBee on September 1, 2015 by The Atmel Team. 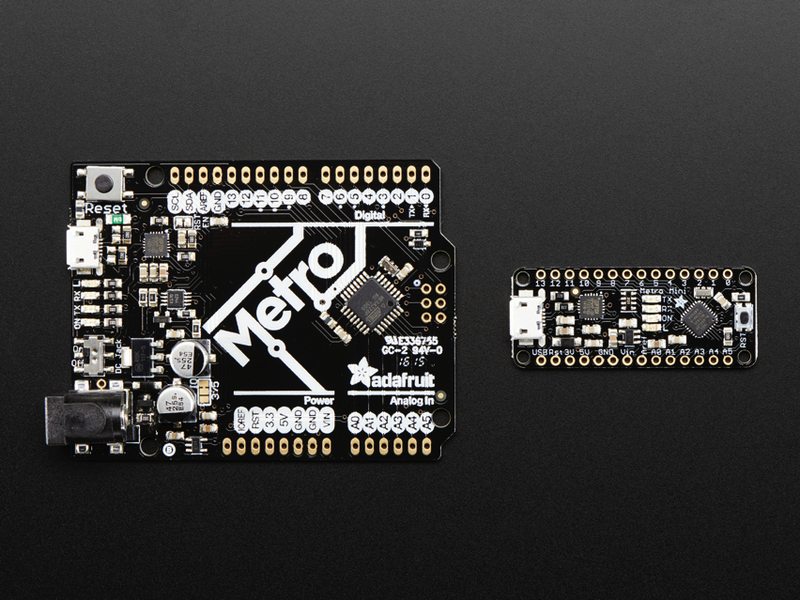 The brainchild of Adafruit, Metro Mini is an easy-to-use, breadboard-friendy chip with USB-to-Serial built in. Inspired by the countless years of tinkering around with AVR MCUs, Adafruit has unveiled a brand-spanking new, tiny development board for Makers. Dubbed Metro Mini, the breadboard-friendly, easy-to-use chip can be programmed with the Arduino IDE. Based on the versatile ATmega328, the Metro Mini packs 32KB of Flash, 2KB of RAM, a clock speed of 16Mhz and comes pre-loaded with the Optiboot bootloader. The slick black and gold unit includes 20 GPIO pins — six of which are analog as well and two reserved for the USB-Serial converter. What’s more, there is also total of six PWMs available on three timers. Another nice feature is that, measuring just 0.7″ x 1.7″ x 0.2″ in size, the Metro Mini is small enough to be implemented in a wide range of projects. In addition, the device boasts 5V on-board regulator with 150mA out and 3.3V 50mA available via its FTDI chip. Rounding out the beautifully-designed piece are a series of four indicator LEDs for easy debugging and hardware SPI, I2C and UART-to-USB ports. Sound like a dev board for your next project? Head over to its official page here to get started. Looking for something just a little bit bigger? You can always try its larger sibling, the Metro. This entry was posted in Arduino-Compatible, Maker Movement and tagged Adafruit, Adafruit Metro Mini, Arduino IDE, ATmega328, dev board, development board, Makers, microcontrollers on June 8, 2015 by The Atmel Team.